Exam syllabus includes questions from Physics, Chemistry, and Biology curriculum of class XI and XII by CBSE. It is prepared after the Medical Council of India (MCI) reviews various State Syllabi as well as those prepared by NTA, CBSE, NCERT, and COBSE. JIPMER MBBS is one of the three exams conducted for MBBS admission in the country apart from AIIMS MBBS, NEET. The medical entrance exam, JIPMER 2019, offers admission to 150 seats at the JIPMER, Puducherry campus and 50 seats at the JIPMER, Karaikal campus. It is estimated that more than 1.5 lakh candidates will take JIPMER 2019 as last year a total of 1,97,751 candidates registered for JIPMER MBBS entrance exam out of which 1,54,491 candidates appeared. A total of 78,053 students cleared the JIPMER 2018 examination. Previous year opening and closing rank of JIPMER 2018 for Puducherry and Karaikal campus have been given below in the article. 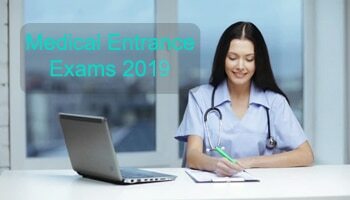 JIPMER aspirants can also check here all the important details of the entrance exam like eligibility criteria, registration process, exam pattern, result and counselling. What’s New in JIPMER 2019? New category added – As per the JIPMER prospectus 2019, from a total of 200 MBBS seats, 13 seats will be reserved for newly added EWS (Economically Weaker Sections) category. 10 seats will be made available in the JIPMER, Puducherry campus and 3 seats will be available in Karaikal campus of the institution. Change in eligibility criteria – The minimum qualifying percentage to be secured for appearing in JIPMER MBBS has been reduced for each category. Unreserved and EWS category applicants must secure at least 50% taken together in Physics, Chemistry and Biology/Bio-technology. While the eligibility qualifying percentage for UR-PwD aspirants and SC/ST/OBC/PwD candidates is 45% and 40% respectively. New exam centres– Two older exam centes have been replaced by new centres. In Tamil Nadu, Vellore replaces Tiruvannamalai, while in West Bengal Burdwan replaces Bishnupur. JIPMER Puducherry has made available the relevant dates of the entrance exam which can be checked in the table given below. The tentative dates of JIPMER 2019 will be confirmed as and when the information bulletin of the JIPMER 2019 entrance exam will be made available. Knowing the JIPMER 2019 important dates will help candidates to plan their preparations effectively and also become familiar with the schedule of the various processes of the exam. JIPMER aspirants must ensure that they fulfil the JIPMER 2019 eligibility criteria before filling the application form. Candidates who will not fulfil the JIPMER eligibility criteria 2019 will not be allowed to appear for the entrance exam. Therefore, it is advisable to check the eligibility criteria of JIPMER 2019 beforehand. Indian National or Overseas Citizen of India (OCI). Age Limit Candidate should complete the age of 17 years at the time of admissions or by December 31, 2019. This means they should be born on or before January 1, 2003. There is no upper age limit in JIPMER MBBS 2019. The conducting body has begun the registration process for JIPMER MBBS 2019 on March 6. The last date to fill the JIPMER 2019 application form will be April 12. Before filling the application form, candidates must ensure that they fulfil the JIPMER eligibility criteria 2019. JIPMER application form 2019 will be available in online mode only which implies that it will not be made available in any offline medium. The application process of JIPMER 2019 will involve several steps like registration, entering of candidates details, online payment and taking a printout of the confirmation page. Candidates can check the JIPMER 2019 application fee to be paid for successful registration in the table given below. As per the JIPMER 2019 exam pattern, the medical entrance exam will be held in online mode as a Computer-Based Test (CBT). The question paper of JIPMER MBBS will comprise 200 single-best-response type Multiple Choice Questions (MCQs). Candidates will be given four choices in each question. JIPMER Puducherry will set the JIPMER MBBS 2019 syllabus based on the syllabi prescribed by the various State Higher Secondary Boards and the Central Board of Secondary Education (CBSE) for Classes 11 and 12. Candidates can check other significant details pertaining to the exam pattern of JIPMER 2019 in the table below. Marking scheme + 4 for every correct answer. Candidates taking the JIPMER 2019 must check the exam day guidelines before appearing for the entrance test. The test-takers are advised to report to the examination centre at least 2 hours before the reporting time. No latecomers will be allowed to enter the JIPMER MBBS 2019 exam centre under any circumstances. Candidates will not be allowed to carry any textual or digital materials apart from the admit card, and a Valid ID proof while entering the exam centre of JIPMER MBBS 2019. Before the start of the entrance exam of JIPMER 2019, formalities like biometric and photo capture will be conducted. Candidates can check a brief overview of the JIPMER MBBS 2019 exam day schedule for both shifts in the table given below. JIPMER, Puducherry will not be releasing JIPMER 2019 answer key. Generally, the exams like JIPMER MBBS which are conducted in online mode does not have their answer keys released. No information regarding the issuance of JIPMER 2019 answer key has been released yet. In case there is any information made available by the conducting body then candidates will be able to check the same here. The result of JIPMER MBBS 2019 will be declared on June 10. JIPMER result 2019 will be issued in online mode in the form of merit list and individual scorecards. There will be a total of 12 merit list released by the regulatory body among which 11 will be the category-wise merit list and an overall merit list. The overall merit list of JIPMER 2019 will include all the candidates who have appeared for the entrance exam. JIPMER MBBS 2019 cutoff will be released along with the declaration of the JIPMER result 2019. The cutoff of JIPMER 2019 is the minimum qualifying marks set by the authorities which candidates are required to score in order to be considered qualified for the exam. The minimum required percentile has been made available by the conducting body as per which Unreserved/OCI/NRI category candidates are required secure at least a minimum of 50th percentile (40th percentile for SC/ST/OBC and 45th percentile for General-PH) to qualify for JIPMER 2019. The total number of seats available at JIPMER Puducherry campus is 150 and JIPMER Karaikal campus is 50. The reservation criteria and the number of category-wise available at both the campuses can be checked in the table given below. The counselling of JIPMER 2019 will be held in four rounds including a final round. Candidates who will qualify the entrance exam will be eligible for JIPMER 2019 counselling process. Note that the counselling of JIPMER 2019 will be conducted in offline mode which means candidates will be required to report to the allotted centre which is the Academic Centre of JIPMER Puducherry. An official notice will be released before each round of JIPMER 2019 counselling. The notice will display the ranks of the candidates who are invited for the counselling process. Candidates will be required to be present with their original documents specified by JIPMER Puducherry when appearing for JIPMER MBBS Counselling 2019. -Candidates must fulfill AIIMS MBBS Eligibility Criteria before applying for the exam. -Candidates must be Indian nationals. Overseas Citizens of India and Non-Resident Indians are also eligible. -Candidates appearing for qualifying exam are also eligible. If SC/ST seats remain vacant, they shall be converted to general category seats. General Knowledge Current Affairs, Business, Punch line of companies, Top officials of big companies,Major corporate events, Famous award and prizes, World Records, Books and authors, Science, History etc. AIIMS MBBS 2019 Answer Key will be released online soon after the exam is over. Answer Key will be available separately for all the subjects. AIIMS New Delhi will release the results via online mode. The results are declared in the form of scores and percentile secured by the candidate in AIIMS MBBS 2019. Enter your candidate ID and password to access AIIMS MBBS Results. The Institute will not intimate unsuccessful candidates individually regarding the result of the test. However, the marks/ percentile scores of an individual candidate are available on AIIMS website. Step 2: Click on the link “Result of AIIMS 2019”. Step 3: Candidates will be required to fill in the asked details, i.e. Candidate ID, Password and a security pin. Step 4: Login after filling and rechecking the details. Step 5: The result will appear on the screen. Step 6: Download AIIMS MBBS 2019 Result and print it out for a further procedure of admission. Note: Candidates are advised to take the printout of the result and keep it safe till the admission procedure. -The cut-off score is the minimum score which has to be secured by a candidate to get admission in AIIMS. -Cut Off for general category candidates will be 50% while for OBC candidates, it will be 45%. -The cut off will be determined on the basis of percentile as the examination will be held in two shifts. -Normalization Procedure will be used for determining the qualifying criteria.